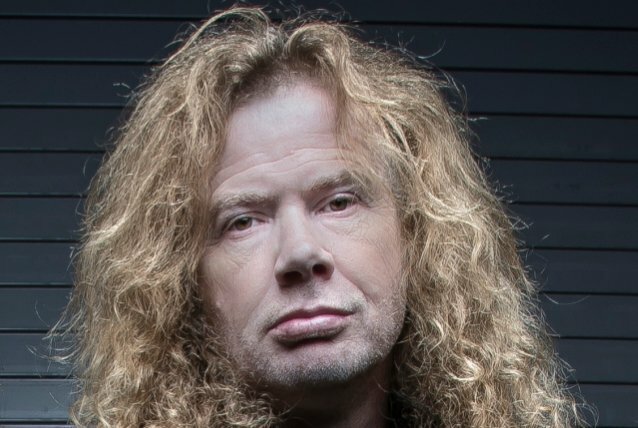 According to Jiu-Jitsu Times, MEGADETH leader Dave Mustaine was recently given the first stripe on his jiu-jitsu blue belt at Gracie Barra Spring Hill BJJ & Self-Defense, which is led by third-degree black belt Reggie Almeida. In a 2007 interview, Mustaine said he started training taekwondo in 1999 in Arizona and then moved to California, where he lived until a few yeas ago. "Before taking up taekwondo, I practiced kung fu and other martial arts," he said. Mustaine told The Quietus in 2010 that he had "a first degree in Ukidokan karate. My sensei — Benny 'The Jet' Urquidez — has the style of karate, kung-fu, aikido, judo, ju-jitsu, taekwondo, Greco-Roman wrestling, Muay Thai boxing and American boxing," he said. "So it's all those things rolled into one. It's a nine-style discipline. My second black belt is in Songham taekwondo and I was an assistant instructor in that style, and then I taught it privately for a while." Mustaine and his family moved to Nashville in October 2014 after living in Fallbrook, California for a couple of years. MEGADETH will support OZZY OSBOURNE on the next North American leg of the BLACK SABBATH singer's "No More Tours 2" in May, June and July.